Faux Red Rhinestones Masquerade Mask is a stunning black, silver and faux red rhinestone designed masquerade mask. 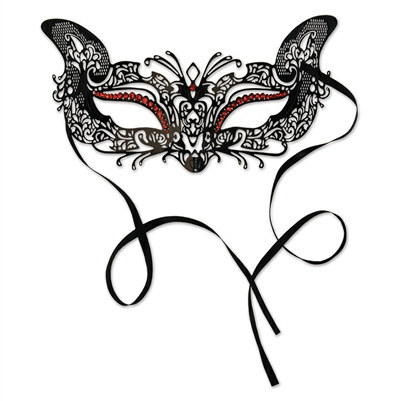 This mask would make an elegant eye mask for a masquerade ball or prom. This beautifully designed rhinestones masquerade mask would also make an excellent accessory for a Mardi Gras costume party.